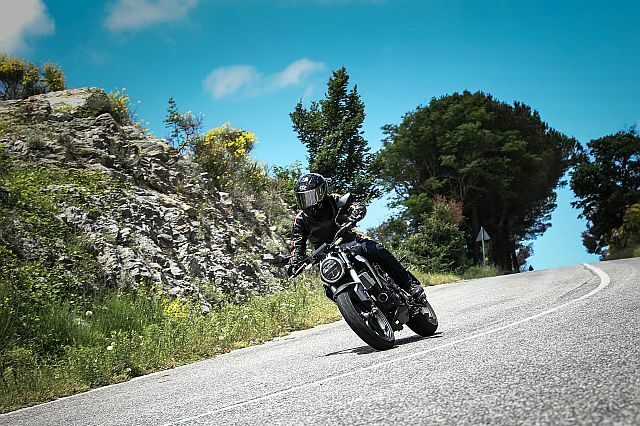 With the Honda CB300R being confirmed for a launch in the country we take a look at a few things we could expect from the Japanese motorcycle as well as present you with a bunch of pictures to ponder and drool over. 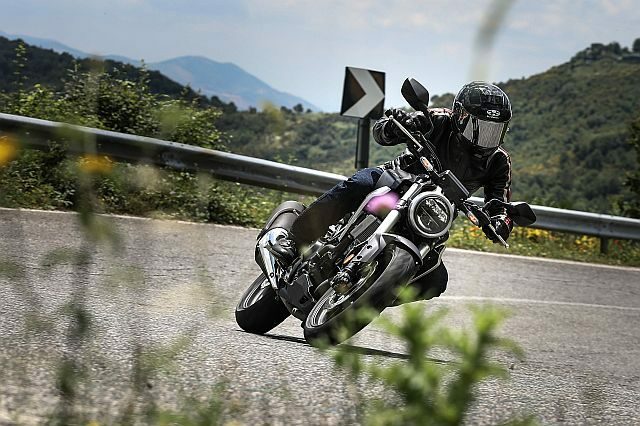 The specifications for the Honda CB300R have been taken for the European version of the motorcycle and the Indian release might have a few differences, though not very far from the model we have talked about here. 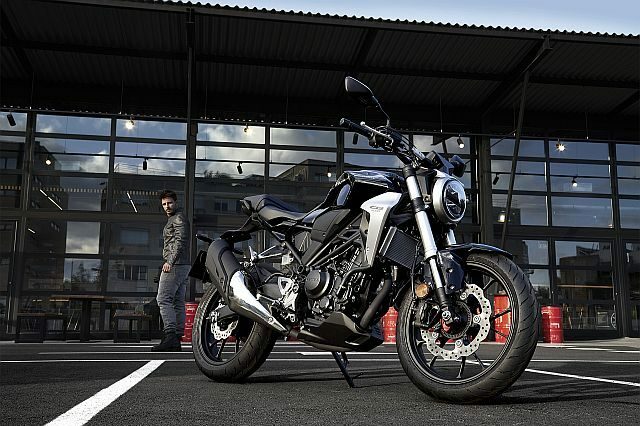 The Honda CB300R is a Neo Sports Cafe-styled machine that is part of the company’s new ‘sport naked’ family which consists of the baby CB125R and the big CB1000R. 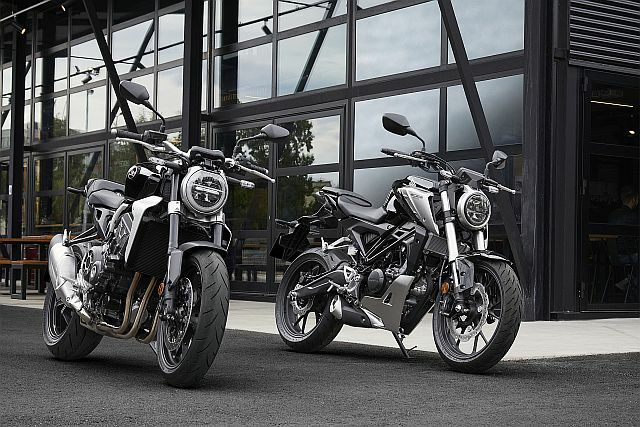 These three might soon be joined by the CB650R, in essence completing the sport-naked line-up for Honda – something for everyone at varying prices. 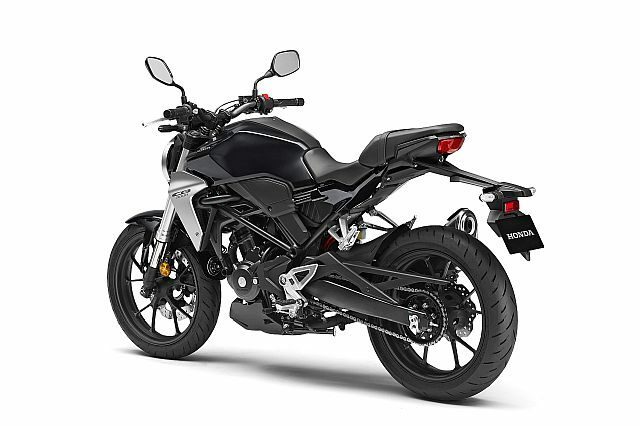 The CB300R will fall into the cut-throat 300-cc single-cylinder segment in India, that consists of the mad KTM 390 Duke and the refined BMW G 310 R, both of which are a bit quicker and would be more expensive. Well, the BMW for sure. Designed with the above mentioned Neo Sports Cafe-style in mind, this machine is a chiseled yet muscular head-turner. 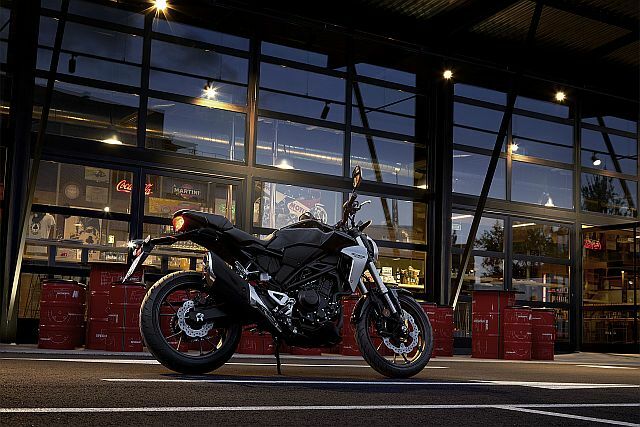 It is easy to see that the bike is a baby version of the flagship CB1000R model. The bike has a round LED headlamp, that looks like it has been taken out of a sci-fi movie set, fits in well with the sharp edges of the tank angular cover, paired with minimal body paneling. The tail is a cutaway unit that is almost non-existent and sports the thinnest tail-lamp on any Honda motorcycle to date. 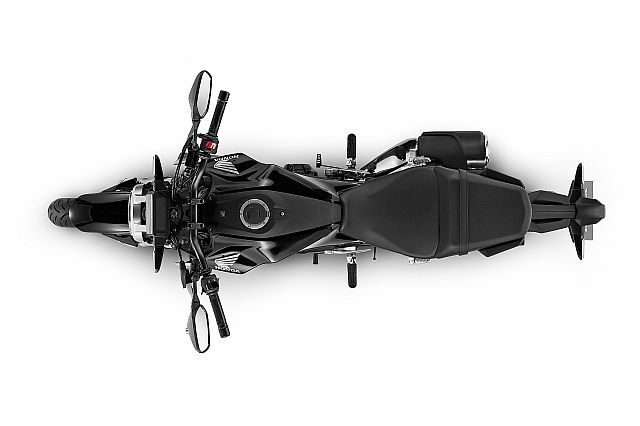 Rider and pillion seats are separate units and you also get a nylon rear mudguard mount. 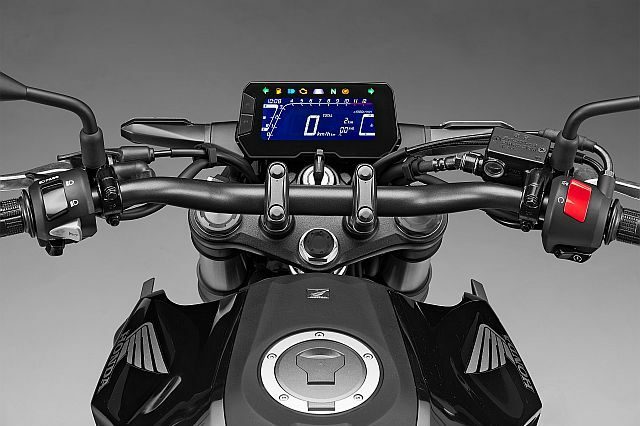 The instrumentation display is a thin LCD unit providing information of speed, engine rpm, fuel level, gear position, and also hosts the warning lights. 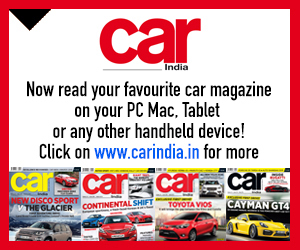 All lighting is LED for the indicators, tail-lamps and the round dual-bar headlamp – a sure head-turner. 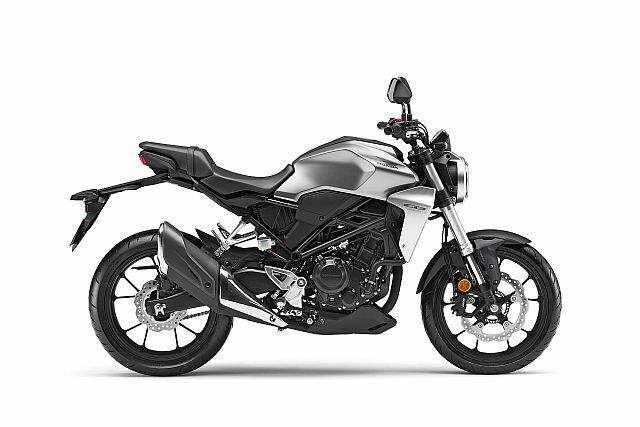 The engine of the CB300R is a 286-cc, four-valve, liquid-cooled, single-cylinder unit making 31.4 PS and 27.5 Nm of torque. 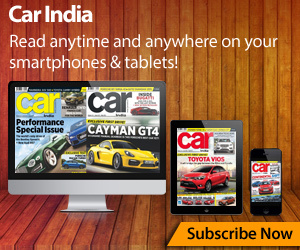 It is mated to a six-speed gearbox. The engine is nestled within a brand new mixed tubular and pressed steel frame. 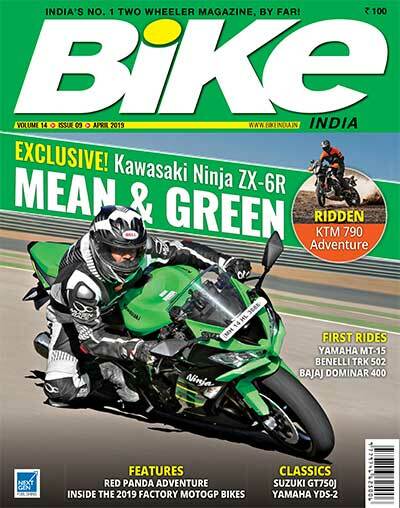 The bike also features 41-mm USD forks with radial-mounted four-piston calipers. The rear gets a single shock which offers a five-step spring preload adjustment. A hubless 296-mm floating front disc is worked by Nissin four-piston calipers, whereas the rear receives a 220-mm disc and a single-piston caliper. Both are modulated by dual-channel ABS. These system work through an IMU (Inertial Measurement Unit) which Honda claim will give better front and rear brake distribution allowing the vehicle to behave better under ABS operation. A Dunlop 110/70 R17 and 150/60 R17 at the front and rear make contact with the ground. 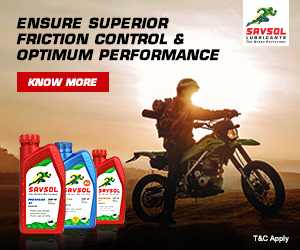 The fuel tank is a 10-litre unit that is capable of a claimed 30.2 km/litre, giving the CB300R a range of over 300 km on a full tank of petrol. All this amounts to the CB300R standing in at a lightweight 143 kg wet at the weigh-in. 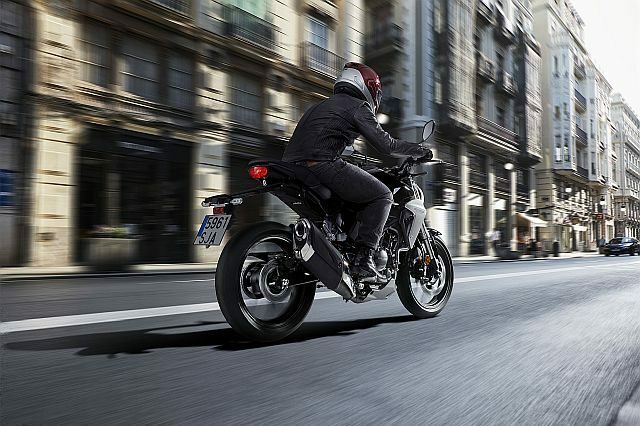 The Honda CB300R in Europe is available in four colour options: Candy Chromosphere Red – which is red, Matt Cryption Silver Metallic – which is silver, Black – because they ran out of cool names, and Matt Axis Grey Metallic – cool names are back. 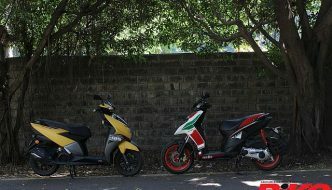 In India, however, at the moment only two colours are being made available – Red and Grey (with fancy names). 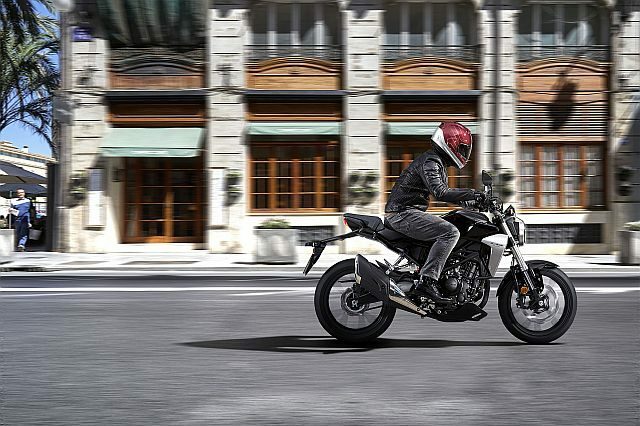 Honda have started taking bookings in India for the CB300R at Rs 5,000, only saying the price will be less than Rs 2.5 lakh at launch. 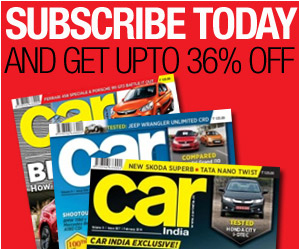 They have not mentioned its official launch date as well. Will this bike relaunch Honda back to its former glory? We shall wait and see. 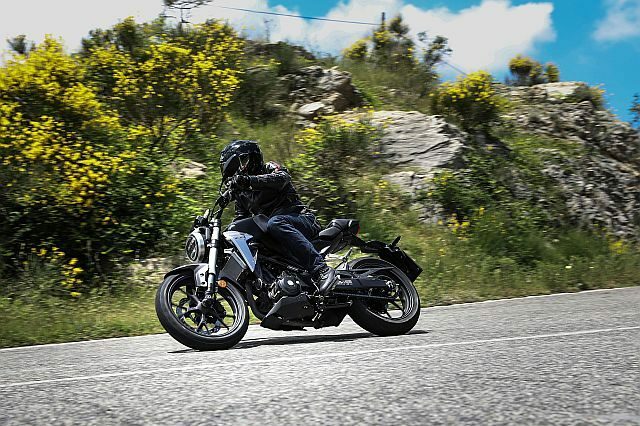 Apart from the earlier mentioned competition of the single-cylinder naked 390 Duke and G 310 R, Yamaha, who will soon be joined by Suzuki, also have their popular FZ25, and let’s not forget the KTM 250 Duke, too. An interesting time here, as Honda fits right in between both these segments. 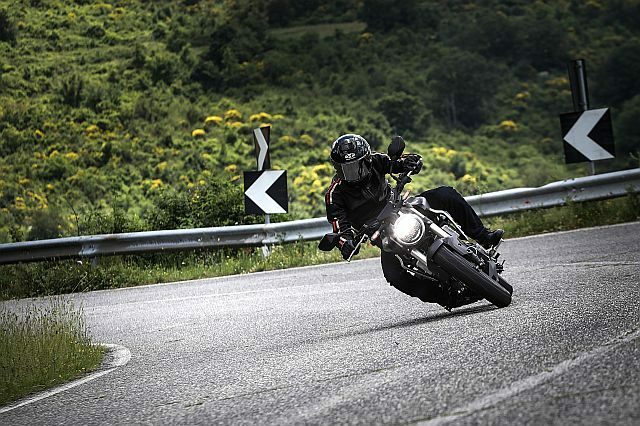 KTM 390 Duke now in Black!